Political planets are realigning themselves in New Delhi, and the new conjunction may give the beleaguered UPA government, which has been hemmed in by recalcitrant allies, a bit more elbow room in the run-up to the next general elections. 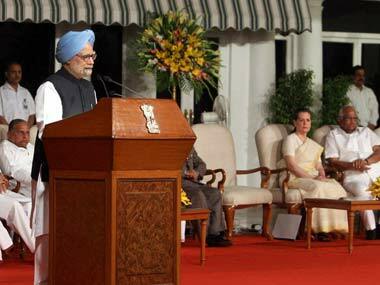 One sure sign of the reconfiguration was manifest at the celebrations at the Prime Minister's residence on Tuesday to mark the UPA 2 government's completion of three years in office. Samajwadi Party leader Mulayam Singh Yadav took centrestage - literally - at the event at which the UPA's progress report card was released, and was later "honoured" with a seat at the high table, right next to Sonia Gandhi, at the dinner that followed. 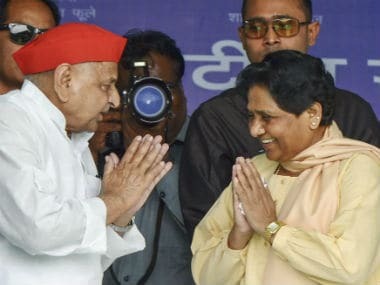 Considering that at last year's UPA anniversary, Mulayam Singh Yadav's presence at the event had been barely acknowledged by the Congress - he sat alone by himself, and evidently left without having dinner - the elevation in his status this year, following up on his party's triumph in the Assembly elections in Uttar Pradesh, was particularly striking. RJD leader Lalu Prasad Yadav too was present on Tuesday - both on the dais when the report card was released, and at the high table with Sonia Gandhi at dinnertime. But given that a down-and-out Lalu Prasad has become something of a "politician for hire", his presence didn't quite invest the event with as much political significance as Mulayam Singh's. 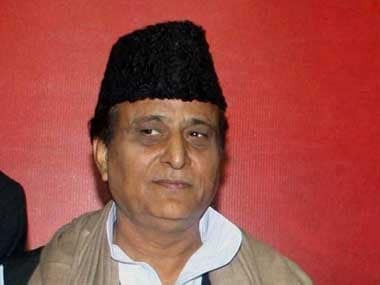 After the event, Mulayam Singh confided to a journalist that he had been given "a lot of samman (respect)" at the event. On a day when Mulayam Singh also signalled his party's support for the UPA's candidate for President, the manifest political bonhomie between the Samajwadi Party and the Congress sent an unambiguous message to Paschim Banga Chief Minister (and arguably the UPA's most troublesome ally) Mamata Banerjee: We don't need you anymore - at any rate, not on your terms. Mamata Banerjee too had been invited to the event, which was intended to rally a down-and-out UPA and prepare it for elections, but she opted out, citing pressing affairs of the state.In her place, she deputed a junior minister Saugata Roy to attend. Going forward, Mamata Banerjee will either have to ease up on her "badgering" of the UPA government - or face the prospect of either voluntarily leaving or being forcibly ejected from the UPA. The arithmetic of parliamentary support works against her -and to the Congress' advantage. Indicatively, the Samajwadi Party has 21 MPs in the Lok Sabha and eight in the Rajya Sabha; the Trinamool Congress, on the other hand, has 20 MPs in the Lok Sabha and nine in the Rajya Sabha. But it's not just about the numbers. As The Telegraph reported, citing Congress sources, having Mulayam Singh by its side gives the Congress much more elbow room on policy matters: for all the "samajwadi" economic philosophy that his party embraces, Mulayam Singh is perceived to be "more flexible" than Mamata when it comes to economic reforms. Congress leaders will also likely recall that it was the Samajwadi Party that bailed out the UPA in 2008 after the Left parties withdrew their support over the civilian nuclear agreement with the US. For the record, the Congress denied that any political message had been sent out by the presence of the two Yadavs on the podium - along with senior Ministers and leaders of parties that make up the UPA. 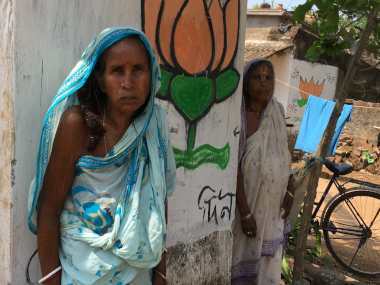 "This is no signal to anyone," Congress spokesperson Renuka Chowdhary said. "It is a matter of courtesy and grace that Mulayam Singh Yadav came." 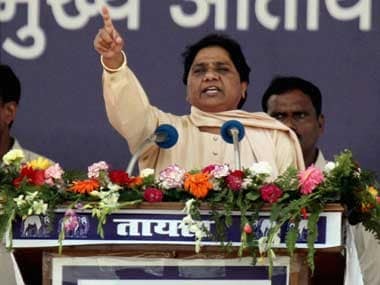 Asked if this meant that the UPA alliance could be broadened ahead of the 2014 elections to accommodate the Samajwadi Party and the RJD, she said: "In democracy, anything in possible... We benefit only by talking and not by not talking." But off the record, The Telegraph reports, a Congress strategist claimed that the political reconfiguration sends out the clear message that although the Congress and the UPA had received a bad press in recent times, they still retain the ability to attract "strong parties" like the Samajwadi Party to their fold. That should put at rest all speculation on the government's survival. Additionally, in the perception of the Congress, an alliance with the Samjawadi Party burnishes the UPA's "secular credentials" as it gears up to take on the BJP. Symptoms of greater coordination between the Samajwadi Party and the Congress in Parliament were visible even earlier this week. Indicatively, it was a Samajwadi Party MP in the Rajya Sabha - Naresh Agrawal - who had demanded that the Lokpal Bill be referred to a parliamentary select committee. The Left parties and the NDA sensed that the Samajwadi Party was acting as a proxy for the Congress, and criticised the government for not being upfront about it.